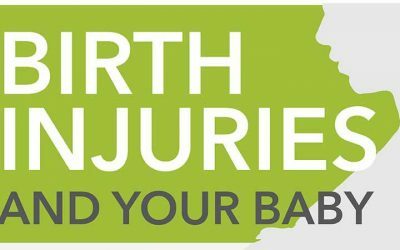 There are 6-8 birth injuries for every 1,000 babies born. When a birth injury causes a child to be born with a lifetime disability, many families face not only the emotional devastation of their child’s suffering, but the overwhelming medical and therapeutic expenses required just to provide their child with a future. 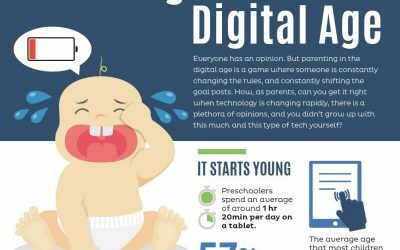 Here is an infographic courtesy of Sitters and designed to enlighten to the realities of parenting in the digital age. Our children’s habits have changed through the integrated and widely adopted use of technology. Rainy days need not dampen your kids’ enthusiasm. Days spent indoors due to bad weather can be just as much fun as playing outside. Even a few board games, or a deck of cards can keep the kids entertained for hours; and the adults too. 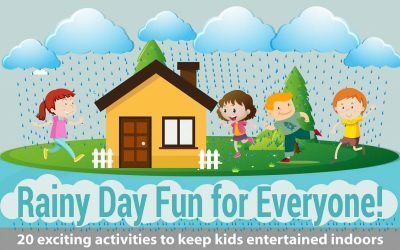 Here is a infographic that explains 20 exciting rainy day activities for everyone. 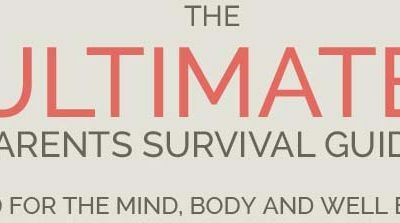 This parents survival guide by Tyrers CoachesTyrers Coaches covers topics such as diet and health, focus and making friends and feelings and safety and is designed to be beneficial in maintaining the safety of children. The first year of baby milestones is so exciting. 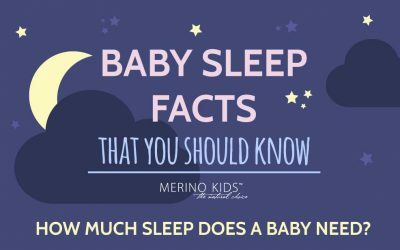 By the end of the first year, parenting your infant will feel nothing like those first few weeks with a newborn. 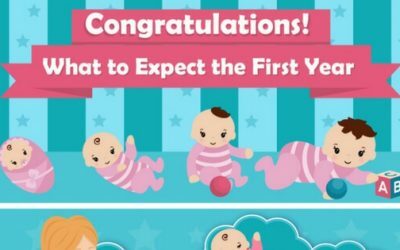 In the following infographic by BabyCare Mag, you’ll discover an overview of what to expect that first year. Keep in mind that all babies are different. Balancing both work and family is very difficult task. 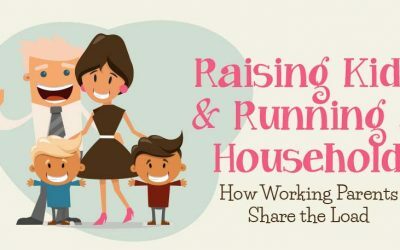 In nearly 50% of two-parent households, both parents work full-time. 56% of working parents find balancing work and family difficult. What can be done to ensure you balance work and family to the best of your ability? Check out the following visual asset for some tips. It’s so important to stay organized. Being a parent will change your life. 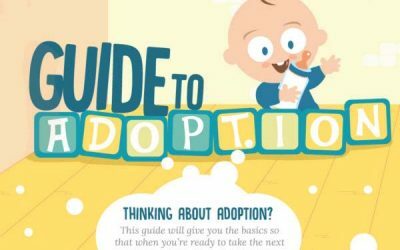 If you’re thinking about adoption there are many things to consider and a process you need to go through legally. It can be daunting, but taking time out to assess all your options will benefit you as you contemplate taking the next step. This guide will show you where to begin and where you can go to get further help and information. Raising a child is both exciting and terrifying. There are so many things to think about that you may never have considered before. Before you know it, your tiny baby is learning to crawl and there’s suddenly danger everywhere. 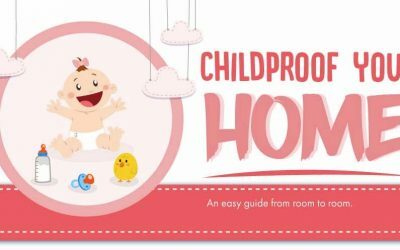 Cue trying to change everything in your house to be childproof! 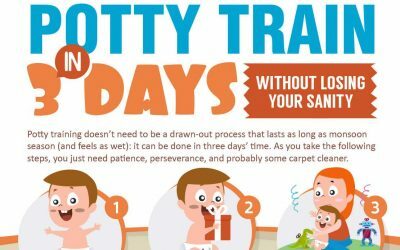 Potty training doesn’t need to be a drawn-out process that lasts as long as monsoon season (and feels as wet): it can be done in three days’ time. As you take the following steps put together by Parenting Passage, you just need patience, perseverance, and probably some carpet cleaner.